From the beginning of HIV epidemic, cannabis has been used to alleviate many of the problems of the disease. It has been used to treat the symptoms of HIV wasting syndrome and those side effects related to antiretroviral drug use. Fortunately, new drugs have reduced the problems of these conditions. Cannabis is still considered a good mean to alleviate the pain, nausea, weight loss and depression produced by the disease. Some research suggests that cannabis may afford long-term benefits because it could slow and prevent the progression of this disease. From the early-1980s to the mid-1990s, HIV caused more deaths in the U.S.A. than any other illness. The first HIV drugs were prone to failure and many times produced debilitating effects. On top of it, many people who suffered from HIV were prone to get other diseases that we don’t see these days. We talk about diseases such as Kaposi sarcoma, a type of skin cancer, AIDS dementia and aforementioned HIV wasting syndrome. It was this syndrome which first spurred support for the use of cannabis. Medicine had at that time very few options for treatment and marijuana’s appetite-stimulating properties seemed to be a good choice to treat the weight loss. In the beginning of HIV, the laws forbade the use of cannabis in clinical settings. Therefore, doctors began to use the Schedule III drug named Marinol (dronabinol), which had a synthetic form of THC. Marinol was efficient to alleviate many of the symptoms of HIV wasting. But many doctors preferred the real marijuana instead of a synthetic form. Even though the support for cannabis to treat HIV wasting is quite remarkable among doctors, unfortunately research is still not enough. This happens because for too many years the law that regulated cannabis use has restricted serious scientific studies. However, research supporting Marinol has been well accepted. Long-term and short-term study concluded that Marinol was efficient to increase appetite and to maintain constant weight among patients who suffered from advanced wasting. However, when it comes to weight gain, there is little data to demonstrate smoked marijuana is more efficient than Marinol. But people prefer smoking cannabis due to its benefits, from the immediacy of effects and its stress-relieving abilities. Other drugs like Megace (megestrol acetate) are more efficient to stimulate weight gain tthan Marinol. But none of these drugs have effect on reversing cachexia, the muscle atrophy related with severe wasting. Most approaches to therapy are a mix of appetite stimulants and anabolic drugs, like testosterone and human growth hormone, to fight severe wasting. Cannabis offers benefit beyond weight gain and the appetite opening. And if a human being feels good, which is something that marijuana produces, is obvious that cannabis can improve one’s adherence to HIV therapy. A very interesting study published by the Journal of Acquired Immune Deficiency concluded that those patients who suffered severe gastrointestinal symptoms were 3.3 times more likely to adhere to their HIV drugs when they smoked marijuana. Besides its capacity to open appetite, cannabis is used to alleviate nerve pain named peripheral neuropathy, which is a side effect related to earlier generation HIV drugs. Peripheral neuropathy happens when the exterior sheath that covers nerve cells is removed. Once this occurs, the nerve endings are exposed can produce nasty pins and needles sensation which can eventually progress to a severely debilitating condition. In certain cases, the neuropathy is so large that makes walking a unbearable pain. Some investigation teams have researched the analgesic effects of cannabis to treat this terrible condition. One study took place at San Francisco General Hospital and measured the effects of smoked cannabis in persons who suffered from peripheral neuropathy. And the study was also conducted with the same type of patients but using non-THC placebo product. According to this study, smoking cannabis reduced daily pain by 34%, twice the amount observed in the placebo group. On top of it, 52% percent of those who smoked cannabis had more than 32% percent reduction in pain while the number was a 24% percent in the placebo arm. The researcher concluded that smoking cannabis was similar to currently available oral agents prescribed to treat HIV-associated peripheral neuropathy. There are also other studies that clearly support the efficiency of medical marijuana to eliminate nausea, appetite loss and other HIV/AIDS related symptoms. There is a research published in the Journal of Pain and Symptom Management, which found that an important number of patients reported that marijuana improved their symptom control. In this article we have made a list of the most important ways cannabis can help with HIV related symptoms. The patients who suffer from this disease tend to experience a loss of appetite. Several studies have observed that cannabis increases appetite and, therefore, body weight. A 2005 research conducted on 523 HIV-positive patients found that 27% of the respondents used marijuana to treat their symptoms and a 97% percent of them declared their appetite had improved a lot. A 2005 research concluded that those patients who used cannabis were more likely to adhere to their anti-retroviral therapies than non-users. 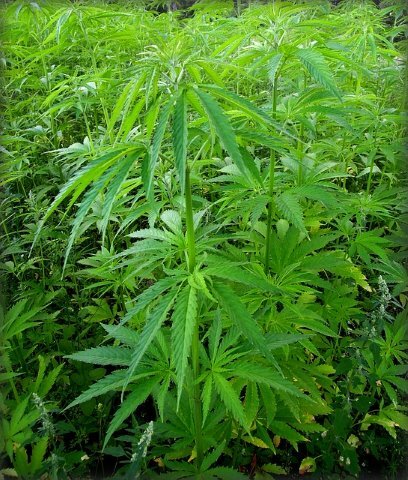 The use of medicinal cannabis reduced drastically their nausea. Medicinal marijuana reduces anxiety and improves mood, which are typical symptoms of HIV. In a research of 2007 the investigators discovered that cannabis improved respondents’ mood and produced a good drug effect, such as euphoria and self-confidence. It is well known that HIV causes tremendous pain in joints and nerves. A new research from Canada concluded that those patients who used cannabis experienced a remarkable reduction in pain and, therefore, their quality of life improved. They also reported their anxiety, depression and fatigue had decreased. Cannabis has been found to alleviate people who suffer from neuropathy by relieving some of the pain related with the disorder. A 2010 research discovered that a single inhalation of 25 mg of 9.4% THC cannabis three times a day during five days reduced the intensity of pain and improved the capacity to sleep. Can cannabis stop HIV progression? There are many studies to support the use of cannabis to treat some HIV-associated conditions. And there are studies that suggest cannabis may slow disease progression. There is a very interesting research conducted at the Louisiana State University which proved that daily doses of THC meant lower levels of viral activity and higher survival rates among monkeys infected with the simian form of HIV. Moreover, the monkeys experienced a drastic spike in CD4 T cells and inferior less weight loss when compared with other monkeys treated with non-THC. The research proved that, when the patients were dosed over a 17-month period, THC decreased the harm to the immune tissues of the gut. With this treatment the disease progression was slowed and the healthy response was maintained. It is not fully understood how THC produces these changes but it is believed that is due to the stimulation of CR2 (a cannabinoid receptor related to the positive therapeutic response). This stimulation could block one or more receptors key to HIV infection. Provided this is true, it could open the door to therapeutic approach by which CR2 can be stimulated to reconfirm immune function and, therefore, slow the progression of the disease. The use of medicinal cannabis continues being politically suspicious. Even though there are many beneficial indications for its medical use, there are also a number of documented consequences which could undermine those potential benefits. THC acts on certain brain receptor cells which play a role in regular brain function. When we use it for recreational purposes, THC excites these cells, which makes us feel “high”. However, in teenagers this over-stimulation can drastically impact their cognitive function. This means a loss of memory and diminished learning skills. The negative effects of low-level recreational marijuana use are low but they can be a problem for abusers. Of course, these effects vary depending on the person.